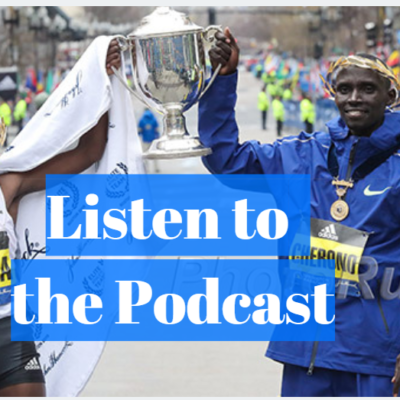 A lot happened last week that we think you’ll enjoy reading before everyone starts focussing on the Boston. We hope you enjoy it. 13,160 – number of days that Greg Meyer held the American 10-mile record at 46:13. In case you are wondering, that means Meyer set the record at the Cherry Blossom 10 miler on March 27, 1983. That record was finally broken on Sunday when Stanley Kebenei ran 46:00 to finish fourth in the same race, one week after finishing 35th at World XC. 22 – number of days that passed after Meyer ran 46:13 that he won the 1983 Boston Marathon in 2:09:00. And we guess it’s possible that Meyer’s record lives on as some are wondering if the course, which had to be altered due to construction, was a tiny bit short. 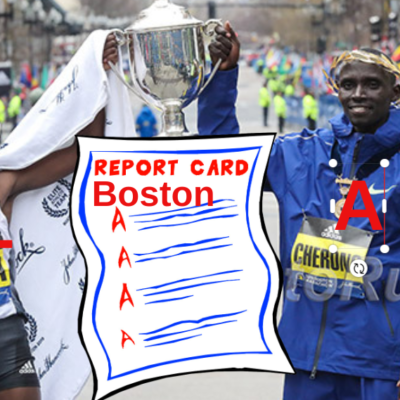 Regardless, Kebenei isn’t the fastest American ever for 10 miles. When Ryan Hall set his half marathon American record, he hit 10 miles in 45:33. We decided it would be fun to figure out what 2:01:39 marathon pace comes out to for 10 miles. It’s 46:23 — that’s sick. MB: Cherry Blossom course short? There was a ton of action last week, and the fastest marathon came in Rotterdam where Kenya’s Marius Kipserem won his second Rotterdam title with a negative-split 2:04:11 course record (1:02:27/1:01:44). That’s the second straight huge run for Kipserem as he’s the guy that won $100,000 for taking down the inaugural Abu Dhabi Marathon in December in 2:04:04 (which was short). And speaking of Abu Dhabi, we have an update. The IAAF has confirmed to us that our intuition and the measurements of Helmut Winter and Sean Hartnett that indicated that the course had to be short were correct. They have told us that the 2018 Abu Dhabi Marathon will forever be listed as a short course in their database. But even though the course was short — at least 190 meters short, and possibly more if more than one U-turn was incorrectly done — Kipserem’s run in Abu Dhabi was still impressive, as was his run in Rotterdam. 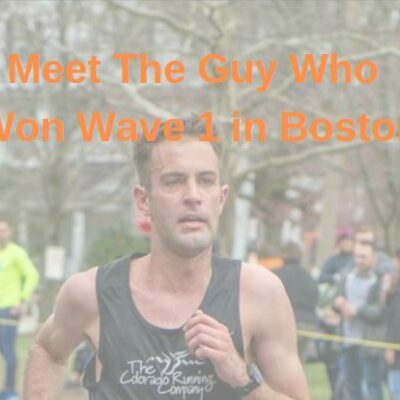 So two very impressive showings for a guy who up until 2016 was the definition of a journeyman marathoner as he’d run 10 marathons, and while he’d won five of them, he’d never run faster than 2:09:21. However in 2016, he PR’d by more than three minutes when he won his first Rotterdam title in 2:06:11. He ran another 2:06 in Eindhoven (2:06:43) in 2017 but since turning 30 last May, Kipserem has gone to a whole other level once again. Kipserem’s wasn’t the only notable performance in the men’s race in Rotterdam. Coming into Rotterdam 2019, in the history of the world, European men had only broken 2:06:20 in a marathon three times ever (Mo Farah 2:05:11 at 2018 Chicago, Sondre Moen 2:05:48 at 2017 Fukuoka, and Kaan Kigen Özbilen 2:06:10 at 2016 Seoul) but two Europeans did that in Rotterdam this year. Özbilen lowered his Turkish record to 2:05:27 to nab second as the Netherlands’ Abdi Nageeye lowered his national record to 2:06:17 from 2:08:16 to nab fourth. Only as a fourteen-year-old boy did Nageeye return to the Netherlands alone after he had managed to convince the Dutch embassy in Ethiopia of his right to live in the Netherlands with the help of a Dutch missionary and primary school documents. He saw no future for himself in East Africa. He left his parents and brothers in Somalia. “I suddenly thought: I have to make sure that I get the life I am entitled to,” he says in his book Abdi Nageeye – Athlete without Borders, published last week. Nageeye’s national record got a lot of local press in the Netherlands. Vincent Rousseau‘s nearly 24-year-old Belgian record of 2:07:20 from 1995 Berlin wasn’t broken in Rotterdam, but it survived a scare as Koen Naert, the 2018 European marathon champ, ran big PB of 2:07:39 (previous pb of 2:09:51) to finish 7th. After the race, we wondered on the messageboard if Naert could prove an inspiration for US marathoners not named Galen Rupp. Naert’s shorter distance PRs aren’t that impressive — 3:42, 7:58, 13:32, 28:32, and 61:42 — and he failed to break 2:10 in his first six career marathons but is now a 2:07 guy. The women’s winner in Rotterdam was Ethiopian Ashete Bekere. 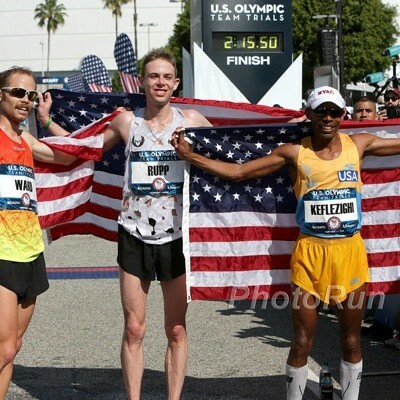 Bekere, 30, who won Valencia last year in a 2:21:44 PB, got the win in 2:22:55 but two Americans deserve mention as they both finished in the top five. Aliphine Tuliamuk, 30, who had failed to break 2:33 in her first three career marathons, had a fantastic race in marathon #1 for the HOKA NAZ Elite team as she ran 2:26:50 to finish third. According to Tilastopaja, she is the 16th American to break 2:27:00. Two spots behind Tuliamuk in Rotterdam was American Roberta Groner, who at 41 became the 41st American to break 2:30:00 according to Tilastopaja thanks to her 2:29:09 pb. If you are unfamiliar with Groner’s story, it’s pretty remarkable. She competed collegiately at St. Francis University — her last race was way back in 1999, but she never made NCAAs. After college, she quit running entirely and had three kids, maybe running once a year. She got back into the sport, however, and her progress has been rapid, running 2:49 in 2013, 2:45 in 2015, 2:37 in 2016, 2:30 in 2017, and 2:31:01 last year — all as a full-time nurse. Taken all together, it was a good day to PR in Rotterdam as six of the first seven men PR’d and 10 of the top 13. Kipserem wasn’t the only human to break 2:05 last week. In Milan, Kipserem’s training partner Titus Ekiru picked up the win in 2:04:46 (a nearly 3-minute pb, previous pb of 2:07:43) and made history. According to Jon Mulkeen, Sunday was the first day that two men broke 2:05:00 on the same day in different cities. This is the first day in history with two sub-2:05 marathons in two different cities. For his win in Milan, Ekiru only picked up 13,000 Euros ($14,637.35) in prize money. If Ekiru doesn’t start racing majors soon, it will be a travesty. He’s now won three straight marathons and four of his last five. Ekiru’s win was an Italian all-comers record. The women’s all-comers record was also set this year in Milan as Kenya’s Vivian Kiplagat Jerono won in 2:22:25. One week after finishing 14th at World Cross Country, Burundi’s Onesphoré Nzikwinkunda, 21, had a disappointing showing at the Rome Marathon, where he ran just 2:15:08 for 8th (his pb is 2:12:11). Last week in this space, we wondered why Kenya has failed to win any of the last four men’s senior team titles at World Cross Country. Last week at the Sportisimo Prague Half, Kenya’s Benard Kimeli, who was only 16th in the Kenyan XC Trials this year, won in 59:07. A sub-66:00 half marathon used to be extremely rare. After all, it’s only been achieved 31 times in history according to Tilastopaja. As recently as the start of 2017, the feat had only been accomplished eight times. 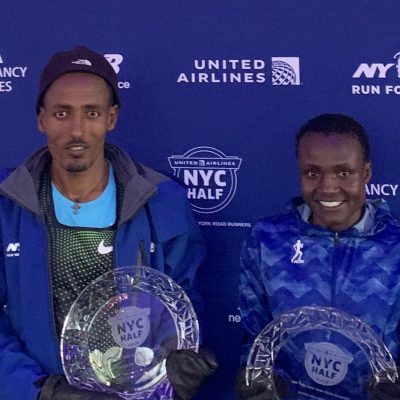 Yet it’s already been achieved eight times in 2019 alone, as last week three different women broke 66:00, including two on one day in two different races — Caroline Kipkirui ran 65:44 on Saturday in Prague before Sifan Hassan ran 65:45 on Sunday in Berlin and Ruth Chepngetich ran 65:29 in Istanbul. Jon Mulkeen pointed out that it was the first time in history that two women had ever done it before in different races on the same day. This is also the first day in history on which two women have clocked sub-66min half marathons in two different cities. Eight sub-66s is the most ever for a single calendar year and the year is barely 25% over. 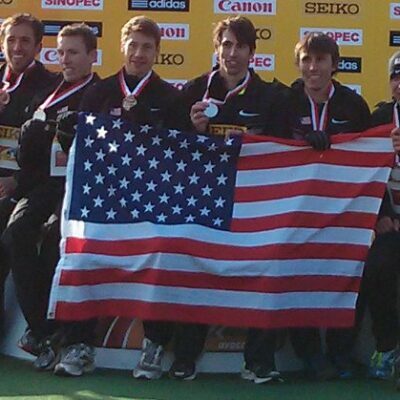 American Noah Droddy talked about breaking 2:11 heading into Rotterdam but ended up running 2:19:03. A week after the Bowerman Track Club women all ran worse than could have been imagined at World XC, the slump continued on the roads as Amy Cragg ran 73:27 in Prague. Dennis Kimetto DNF’d yet again at the Daegu Marathon (it’s probably worth pointing out that the CR fell there as Felix Kipchirchir won in 2:05:33). The former WR holder hasn’t broken 2:11 since 2015 London and has only finished two marathons in that span (a 2:11:44 at London in 2016 and a 2:14:54 in Shanghai last November). DNFs are the norm for him now as he’s now DNF’d in 4 of his last 5 marathons and 6 of 8. *MB: Is Kimetto update? Joseph Deng, who set the Australian 800 record last July in Monaco (1:44.21), only was 7th at the Aussie Champs last week in 1:49.00 (winning time of 1:46.12). Race Results Weekly noted in its weekly recap that the Aussies didn’t run either a 5000 or 10,000 at their national champs at the senior level last week. Before everyone gets too alarmed realize the Aussies have done this in the past, and still contest a 5,000 and 10,000m national championship, but often at a different event. The Zatopek 10,000m in December has long been the national championship in Australia for 10,000m. The 5,000m has a mixed history of being held at the Aussie nationals. Last year, the 5,000 was held at Australian nationals. This year it was contested last month at the Sydney Track Classic. As early as 2008 it was contested at the Melbourne Athletics Grand Prix instead of the Aussie Nationals. One thing everyone can be glad about is the Aussies did not run a 3,000m instead of a 5,000m at the Aussie Champs. IAAF insiders, we know many of you read this. We’ve yet to find a single person who wants six flat 3,000s in the DL. The 5000 is the event. End of story. We’d MUCH rather you keep the steeple and get rid of the flat 3000 versus keeping the flat 3000 and axing the steeple. At NXN in December, Colorado’s Cole Sprout was the top junior in the race in third in 15:02.7, just ahead of fellow junior Nico Young of California, who was 4th in 15:04.7. At the Arcadia HS Invite last week, Young got revenge in the 3200 meters. After sitting on Sprout throughout the race, he outkicked him late and won in 8:40.00, breaking Cooper Teare‘s 8:41.46 meet record, as Sprout ran 8:40.73. On the messageboard, Sprout is getting the Prefontaine treatment — lots of praise for doing all the work but not winning. He certainly made the quick times possible, but if this was professional sports and there was a draft it would be almost impossible not to draft Young over Sprout. Not only did he win the race, but he’s improved a ton this year. Last year, he ran 9:05.17 for 3200 but this year he’s knocked more than 25 seconds off that time. Sprout, on the other hand, ran 8:49.46 for 2 miles last year. More: MB: Nico MF Young wins Arcadia 3200 in New MR 8:40.00! Bethany Sachtleben, Who Is Racing Cherry Blossom This Weekend, Took An Unconventional Path To The Olympic Marathon Trials After being homeschooled in HS, when she walked on to the team at George Mason and was told to do 1k workouts, she had no idea what to do as she’d never done a workout in her life. 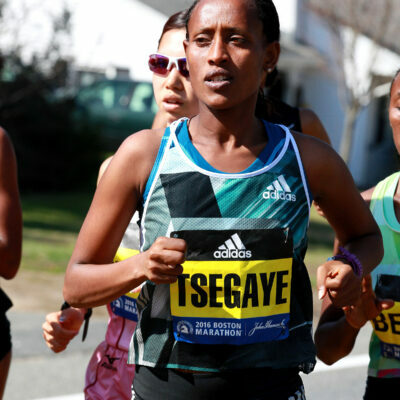 Toni Reavis: Carlsbad 5000 – World’s most famous 5000 road race was going to be shut down this year had not Ashley Gibson & Meb Keflezighi purchased it Having someone who understands elite running in charge is critical. NZ Shot Putter Jacko Gill Opens Up On His Life-Threatening Illness And Stalled Career Between many injuries and being bedridden with myocarditis (inflammation of the heart) Gill has struggled a lot since the days when he was a junior world champ and YouTube star. But now he has changed a lot about his training and is on the comeback trail.